This list describes the Ornamental Plum (Prunis) trees that we generally grow in our bare root nursery. Due to vagaries of production and demand however not all of the trees listed here will be available every year. 6-8m exceptionally to 10m. 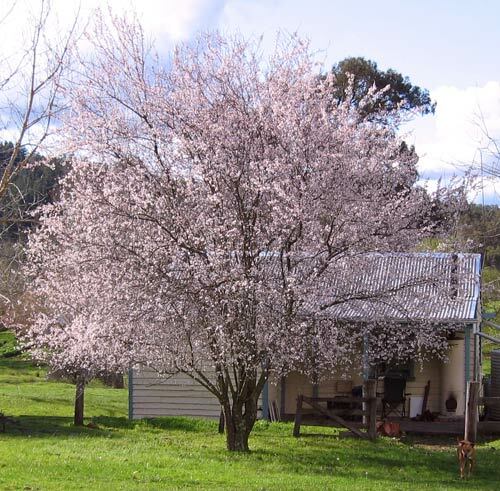 * A slightly larger ornamental plum tree with prolific double pink blossoms in spring. It tempers its purple leaves with a tinge of green during the summer giving it a coppery/bronze effect. Fast to establish it is upright when young but filling out and becoming more rounded with age. 6-7m exceptionally to 8m. 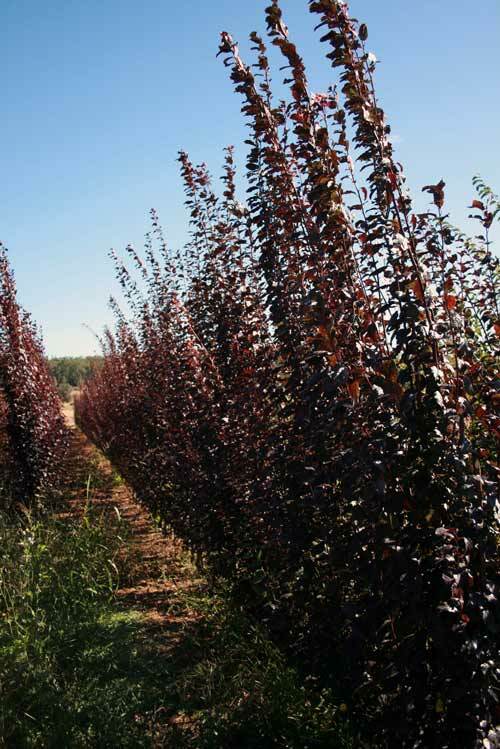 * Probably the finest of all purple leafed foliage trees grown in Australia. Single light dainty pink blossoms on fine branches throughout spring. 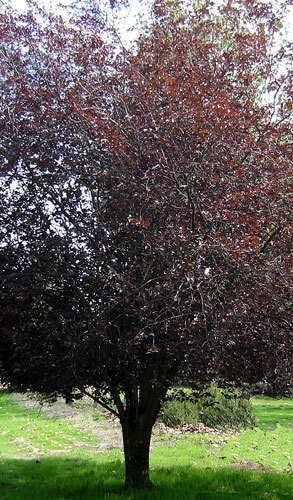 Its rich dark plum foliage never loses its colour and can be used as for striking contrasting effects. Though not generally thought of as a fruit tree Its cherry-plum fruit can be eaten. One of the toughest plums and handles somewhat drier and warmer condition. Suits as a small garden specimen. 3m x3m. 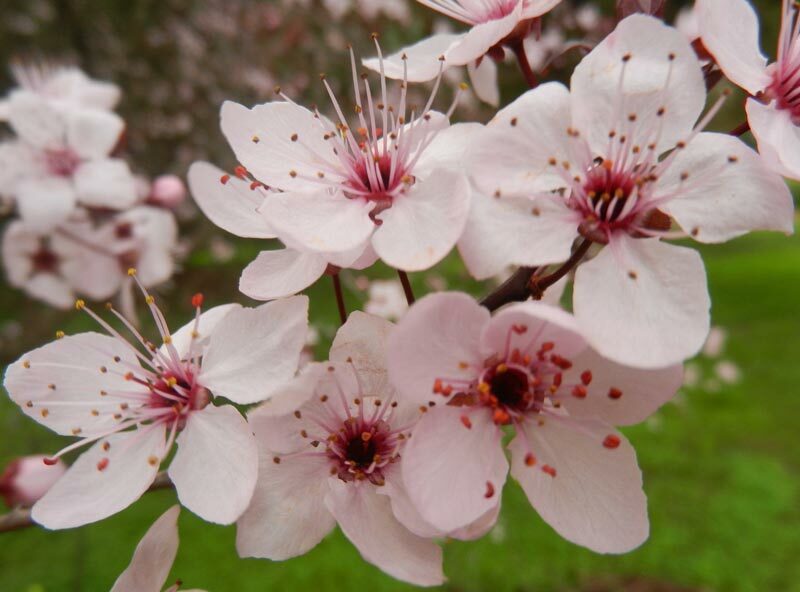 *A dwarf flowering plum suitable for the smallest of spaces with prolific flower’s completely covering the semi pendulous branches in mid spring. 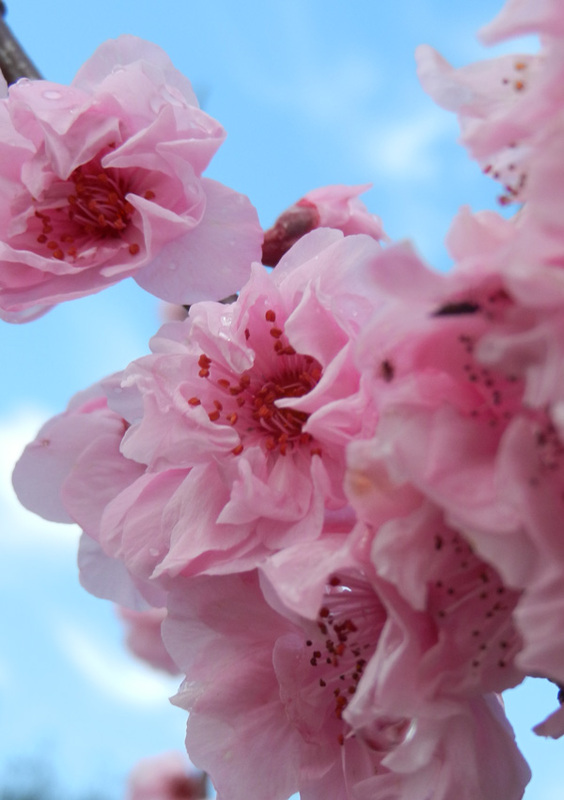 Blossoms begin white and then change to a coral pink as they age. Adapts to a variety of conditions but thrives best with full sun and moist well drained fertile soils. 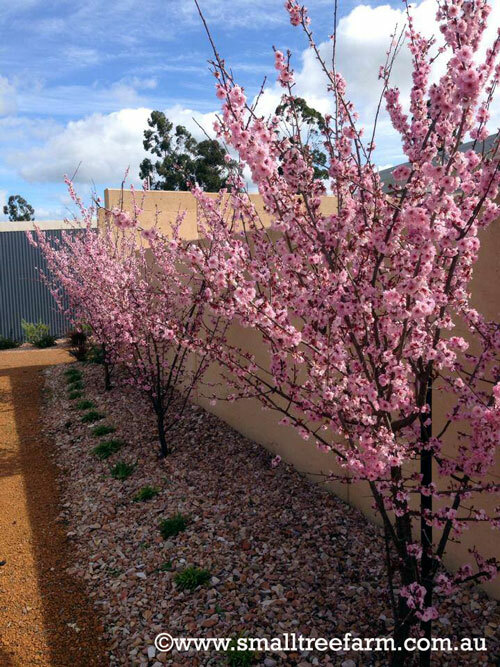 6 x 2 m. * A very upright form of ornamental plum with a tall and slender habit perfect for those tight spaces. Lovely deep burgundy foliage and white spring flowers make this tree distinctive most of the year. Preferring full sun for best foliage colour and flowers its best in moist, well drained, fertile soils but once established should tolerate slightly drier sites.